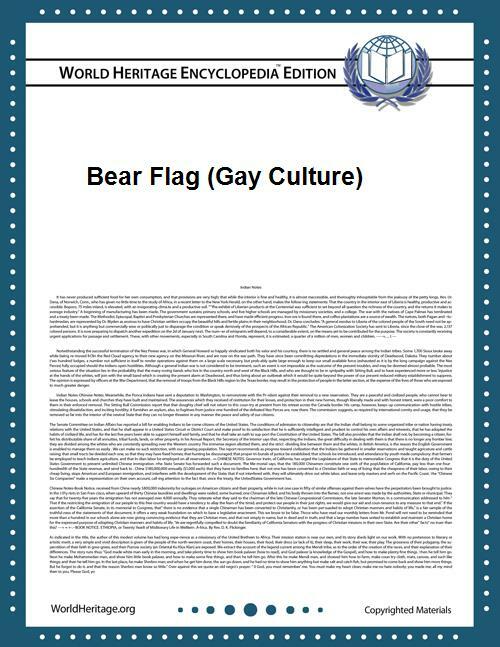 Craig Byrnes created the Bear pride flag in 1995. Byrnes' undergraduate degree in psychology involved designing a senior project about the bear culture that has exploded since the early 1980s, of which he had first-hand experience. He thought it might be fitting to design a flag that would best represent the bear community and include it with the results of his research. Four variations were sewing machine-constructed and Byrnes won approval to display the four 3’×5’ prototype flags at the Chesapeake Bay Bears "Bears of Summer" events in July 1995. The winning design is a field of simple horizontal stripes with a paw print in the upper left corner — a layout familiar to anyone who has seen the Leather Pride flag. The colors represent the fur colors and nationalities of bears throughout the world and was designed with inclusivity in mind. It is trademarked.